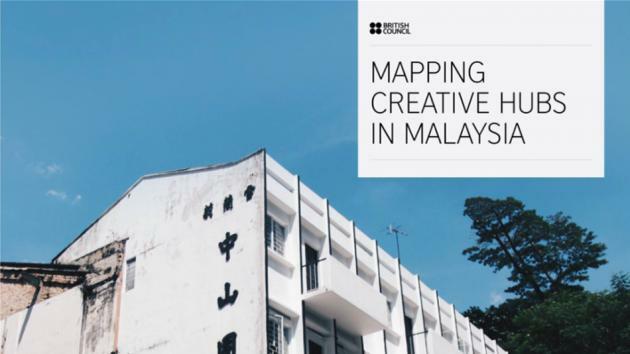 Early in 2017, the British Council commissioned a research report to map creative hubs in Malaysia, Philippines, Thailand and Indonesia as part of its creative economy work in the Southeast Asia region. The reports are published for Malaysia and the Philippines, presenting a directory of creative hubs and spaces, with information on the structures researched. In Malaysia, the research casts a bird’s eye view on existing creative hubs across the country – studying the contextual definition of hubs, their histories, business models, organisational structures and more. This resulted in a beautifully designed 54-pages long mapping report, featuring responses from established and start-up hubs grouped into four main categories, namely: ‘Funding’, ‘Network’, ‘Training’ and ‘Space’. The report also features a growing directory of creative hubs and spaces in Malaysia. With this as starting point, the research looks into varying forms of hubs --- as alternative spaces, artist-run spaces, makerspaces, innovation centres or coworking spaces. It has chosen to focus on nine hubs that represent unique models and processes in terms of operations and objectives within Metro Manila and nearby provinces. Top image courtesy Recci Bacolor, British Council 2017.